In my last post I wrote about Tips for learning the Spanish Subjunctive Tense. Today we’re going to take a look at reflexive verbs. I remember having boatloads of problems with reflexive verbs in the beginning of my Spanish studies. I can’t say I’ve mastered the subject, but I’ve certainly learned a lot. Today I’m going to try and put on my teachers hat and see if I can save you from going through the same drama I went through trying to get a handle on reflexive verbs. In Spanish, a verb is considered reflexive if the subject (the performer of the action) and the object (the receiver of the action) are the same. You wash your hair yourself. You shower (or bathe) yourself. You put on your clothes on yourself. In simpler terms, an action is reflexive when you do something to yourself. Now that we know what a reflexive action is, let’s talk about how to express these ideas in Spanish. And I’m going to try to do it without using a bunch of grammar double-talk. We’re going to work with one of the examples above…. The verbs we need to talk about cleaning ourselves up are bañar and bañarse. You can identify which verb is reflexive because it has the se on the end. But let’s look at bañar first, which is the non-reflexive version. The trick here is to recognize that you bañar everything except yourself. When you want to talk about bathing yourself, you need bañarse, the reflexive form of bañar. So how do we use reflexive verbs to talk about bathing ourselves? Now we just need to add the part that says we’re bathing ourselves. It’s a lot easier than you think, you just add me. That me is called a reflexive pronoun, but more about that in a minute. If you’ve got your basic verb conjugations down pat, then conjugating reflexive verbs will be a breeze. To say “you bathe yourself”, just conjugate bañar to the “you” form and add te. Now let’s go back to those reflexive pronouns. So far I’ve mentioned the reflexive pronouns me and te, but there are a few more. There’s nothing tricky about conjugating reflexive verbs as long as you keep in the mind the conjugations are the same as the non-reflexive verb, you just have to add the appropriate reflexive pronoun. What should I put on (myself)? Let’s see if you can get the last example by yourself. This one might be a little tricky, because you don’t actually have to conjugate the verb, but you still use the reflexive pronoun me, because you’re talking about yourself. Hopefully all of that makes sense and gives you a good introduction to reflexive verbs. But if you need a little extra help, and most people do (I certainly did) here are some great products you can use. This is a great tool that will help you with learning all of your verb conjugations, not just the reflexive ones. It’s configurable, interactive and uses spoken, practical examples that blow away the old-fashioned, conventional methods of rote memorization. Click here to read my detailed review of the Verbarrator that includes actual product images so you can see what the tool has to offer. Or you can go straight to the Verbarrator web page. 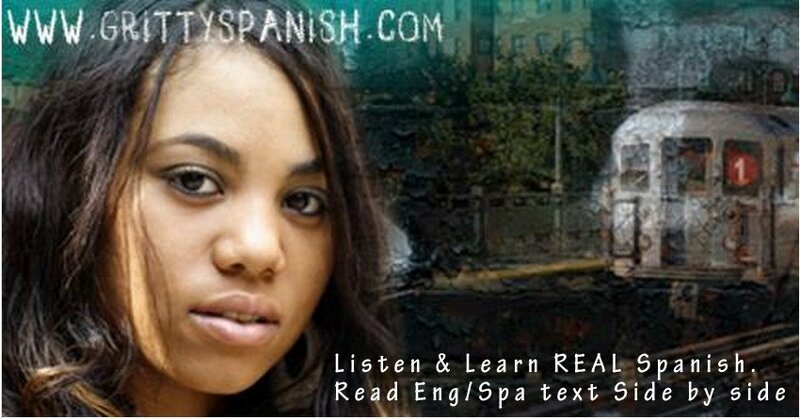 Learning Spanish Like Crazy Level I is a complete learning Spanish course for beginners that dedicates three entire 30 minute lessons to reflexive verbs, and contains 30 lessons in total. The course uses a proven “listen and repeat” method that will burn this stuff into your brain. I recommend both of these courses because I bought and used them myself and I can honestly say they were critical to the level of success I’ve managed to achieve so far in my 10 years of this Spanish speaking journey.